Winning Space Apps Toronto team “Kid On The Moon” named a Top 25 Global Finalist representing Toronto and Canada in the NASA Space Apps Challenge. May 18, 2016, Toronto, Ontario, Canada: Toronto team Kid On The Moon is on a mission – to inspire the next generation of space explorers. They just took one small step closer as the Top 25 global finalists were announced this week for the NASA Space Apps Challenge. Kid On The Moon was named as a Top 5 Finalist in the “Most Inspirational” project category, and is proud to be representing Toronto and Canada in the international competition. On the weekend of April 22–24, 2016, developers, makers, engineers, and entrepreneurs took on NASA-designed challenges, creating a diverse range of solutions. Over 15,000 people world-wide took part in the 2016 NASA Space Apps Challenge, with 1,287 projects produced. 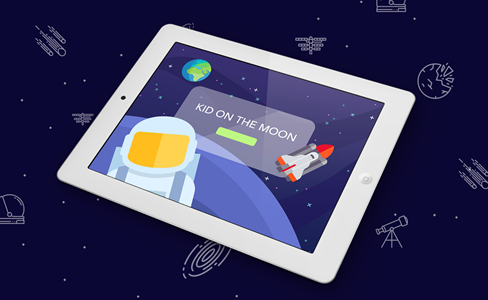 Kid On The Moon is an interactive app that inspires children 4-8 years old and their families to become passionate about space travel through self-guided exploration of the moon both on and offline. The Kid On The Moon team members and app creators are: Huanning Wang, Allard Schipper, Katrina Shiu, Mohammad Zubayer, Nippun Goyal, James Chiu, Tanya Oleksuik, and Sophia He. This diverse group brought together their ideas, wide range of skills, and imaginations to create the Kid On The Moon project at the NASA Space Apps Toronto hackathon in response to NASA's “Book It To The Moon” challenge. A part of NASA's International Space Apps Challenge, NASA Space Apps Toronto was composed of both a Hackathon and a Youth Program – both of which challenged participants to think critically about technology and its effect on the world around us. The NASA Space Apps Toronto challenge took place at Symbility Intersect, at which the judges awarded Kid On The Moon as a winning project, propelling them into the global competition orbit. The winning projects and teams from each category will be announced by NASA the week of May 23, 2016. 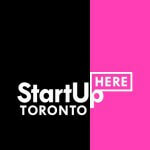 The NASA Space Apps Toronto event was supported by lead sponsors: City of Toronto, StartUp HERE Toronto, and XE; host sponsors: Phuse, Symbility Intersect, and HackerYou; and community supporter: Ace Hill. Please join in our excitement and support #KidOnTheMoon as we proudly represent Toronto and Canada in the final phase of the NASA Space Apps Challenge, with a mission to inspire the next generation of space explorers!